Why does chemotherapy make my hair fall out? 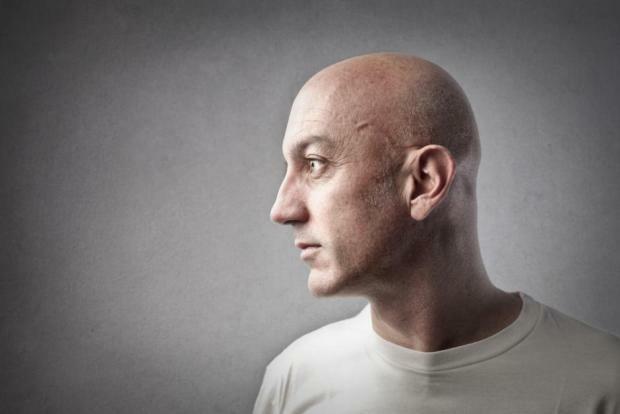 Hair loss or alopecia is the best known and most visible side effect of chemotherapy. Actually chemotherapy is an umbrella term for any cancer treatment using what are known as cytostatics. Cancer cells tend to divide rapidly. Cytostatic drugs are drugs that aim to quickly destroy these rapidly dividing cells or to delay their growth. Unfortunately, they also kill other, healthy cells that also divide rapidly, such as the cells in our hair follicles that make our hair grow. This is why chemotherapy also causes hair loss. Can I prevent my hair from falling out? A cold cap is a reasonably tightly placed head cap which is iced. The benefit is that they inhibit and slow down the rate of chemical therapy to your scalp and hair follicles potentially reducing the rate of hair loss. They often reduce the amount of hair loss, although , they can be very cold and therefore somewhat painful, ask your doctor or nurse about the possibilities of wearing one. Please note that some cancer drugs have a greater effect on hair loss than others. 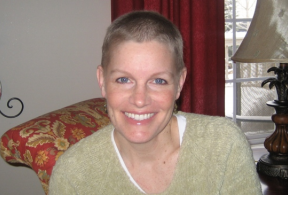 Why doesn’t every chemo patient lose his or her hair? Chemotherapy uses a specific mix of cancer drugs. The mix you will receive depends on the type of cancer you have. Some drugs cause hair loss, others cause little to no hair loss whatsoever. Some chemo treatments do not make people’s hair fall out but it does become thinner or duller. Your doctor is the best person to inform you about how much hair loss you can expect. How do I care for my hair during my chemotherapy? During chemo we recommend gentle care for your hair. Don’t wash it too often and always use a gentle, mild shampoo. If you need to use a hair dryer, make sure you always use the lowest temperature setting. Try not to let your hair dry out due to sun exposure, colour treatments or perms. Hard brushes and curlers are definitely to be avoided as well. When will my hair start to fall out? Generally hair loss sets in 2 to 3 weeks after the first course of chemotherapy. Some people lose their hair gradually, while others immediately start to lose hair in large quantities. By their second course of chemotherapy, most people are already wearing a wig, scarf or hat. Tip! Don’t wait until your hair starts to fall out to find some chemotherapy headwear. 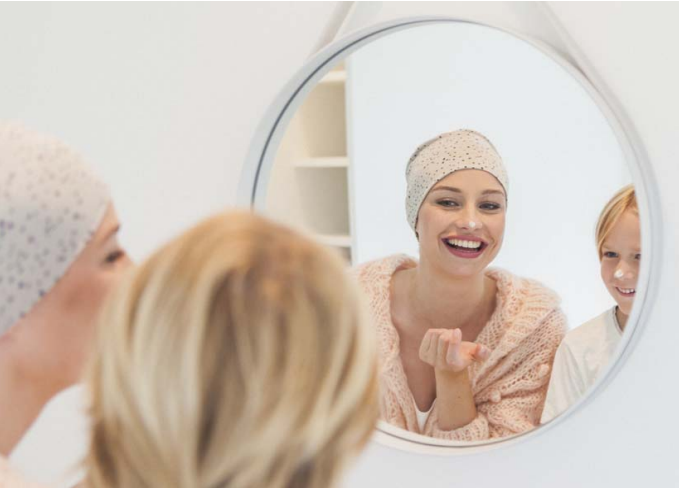 It is a good idea to look for a wig or chemo scarves and hats before starting your chemo. Go to specialised hairdresser for a wig. 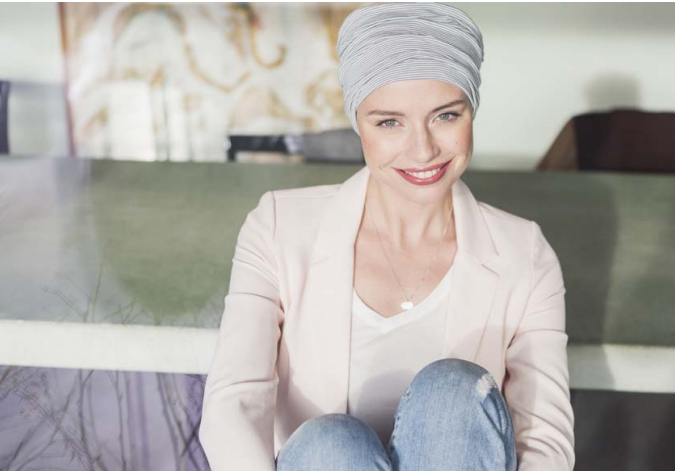 You can buy chemo scarves, hats and headscarves in most department stores. Online shopping is easy because you can shop from the comfort of your own home. Should I cut my hair short or shave it before chemotherapy? if you choose to shave off your hair, we recommend using an electric trimmer or clipper . Be careful to avoid cutting yourself. If you are not used to using these devices, go to the hairdresser or ask someone with experience. Does hair loss after chemo hurt? Some people feel pain when their hair starts to fall out. This is often called “scalp pain”. But others only experience itching or an odd, tickly feeling. It generally only lasts a few days and experiences vary from person to person. Is it only the hair on my head that I will lose? Besides the hair on your head, you can also lose the rest of your body hair, i.e., the hair on your arms and legs, your eyebrows, eyelashes, armpit and pubic hair. Again, this depends on the type of chemotherapy and it can also vary from person to person. Will my head get cold more quickly without hair? Everyone who has had chemotherapy knows that a bald head cools off faster. You don’t just wear a wig or hats and scarves after chemo to conceal your hair loss, but also to keep your head warm. At night especially, you might feel cold, especially during the autumn and winter months. So consider wearing a light hat and choose a model in a breathable fabric without irritating elastic or rough stitches. Chemo can make your scalp dry and sensitive and even the slightest friction can cause irritation. When will my hair start to grow back after chemotherapy? Your hair will start to grow back after your chemotherapy treatment. Some people will notice immediate growth, and in other cases it might take a month or two. But it is equally possible for your hair to start growing back during your treatment. This usually happens just before or during your last chemo treatment. It’s also worth remembering that it is a myth that wearing a wig, hats or scarvesafter chemo prevents your hair from growing back. Your hair will grow back just as quickly with or without headwear. It’s up to you to decide when you feel your new hair is long enough to start walking around without a wig or a headscarf. Will my hair look the same when it grows back? 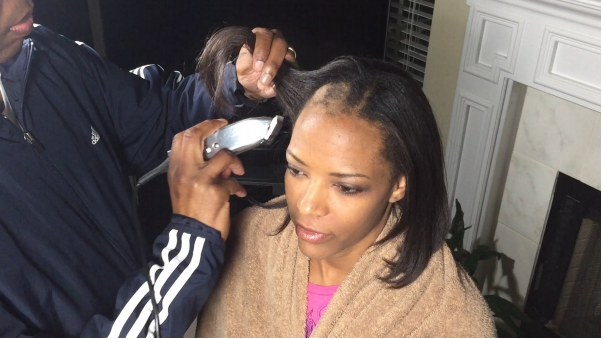 Hair that grows back after chemotherapy often looks different to begin with. The colour may be different to how it was in the past (often darker) but the texture often changes as well. People who had straight hair before chemo might find they have curly hair and vice versa. Sometimes this is just temporary and you will get your “own” hair back after a few months to a year. Sometimes the changes are permanent. Hair growth after chemo is a different experience for everyone. Some people’s hair grows back thicker and more difficult to manage, while others find it softer and finer. Other factors can also influence your hair texture, such as hormone therapy for the treatment of breast cancer. My new hair has a different colour and texture. Sometimes it does, sometimes it doesn’t. Sometimes your “chemo curls” will disappear after a few months. But for some women, the changes are permanent. It is a mystery why this happens. Not much has been written about this in medical literature. So all you can do is guess and wait. Sometimes your hair suddenly looks “normal” again after a year. Remember that “change” doesn’t mean a drastic turnaround. We have yet to meet someone who originally had black hair and ended up with red hair after chemo. However blond hair does often get darker. Healthy hair grows 1 to 2 centimetres a month. Your hair also grows back at this rate after chemo. So you will have to be patient if you want to grow back the long hair you had before your treatment. So this might have you wondering whether there are special hair growth remedies to make your hair grow faster. They do exist, but the question remains whether they really work. You may have heard from other women that they take vitamins to stimulate hair growth or rub their scalp with a special serum. This means being patient and letting your hair roots restore themselves after your treatment so they are strong enough to produce healthy hair again. If you do want to use a product that stimulates hair growth, we recommend talking to your doctor or nurse or trichologist and check whether you can take supplementation. Opinions are divided on this one. Some stylists say “right away”, while others recommend waiting until your hair is two to three centimetres long. Pay attention to the condition of your scalp. Did it become dry and irritated after the chemo? Then wait until your skin has recovered. If your scalp is not excessively sensitive, then choose a gentle, non-aggressive hair colouring. And talk to your hair stylist. He or she will certainly be able to give you expert advice. Will my eyelashes and eyebrows grow back? If you also lost your eyelashes and eyebrows during your chemotherapy, they will almost always grow back. It may take a little longer because you probably lost them at a relatively late stage in your treatment. Again, they also may look somewhat thinner and finer in the beginning. Medication can influence your hair growth. A side effect of hormone therapy, for example, is that your hair will become thinner. Enquire about the possible side-effects of your treatment with your doctor. They can give you an indication of how likely it is that you will have them. Don’t forget that there are several other factors that influence your hair growth. Thinner or duller hair can also be a result of hormonal changes during menopause, of a shortage of certain vitamins or minerals and so on. Again: talk to your doctor. If necessary, they can refer you to a specialist trichologist for more targeted help.